KIEV, August 30./TASS/. Russian journalist Anna Kurbatova abducted in Kiev has crossed the Ukrainian-Russian border, a spokesperson for the Security Service of Ukraine (SBU) said on Wednesday. «Russian agitator Anna Kurbatova, in respect of whom the decision on expulsion from Ukraine was taken, has crossed the Ukrainian-Russian border,» Yelena Gitlyanskaya said in Facebook. «She was banned from entering our state for three years,» she added. 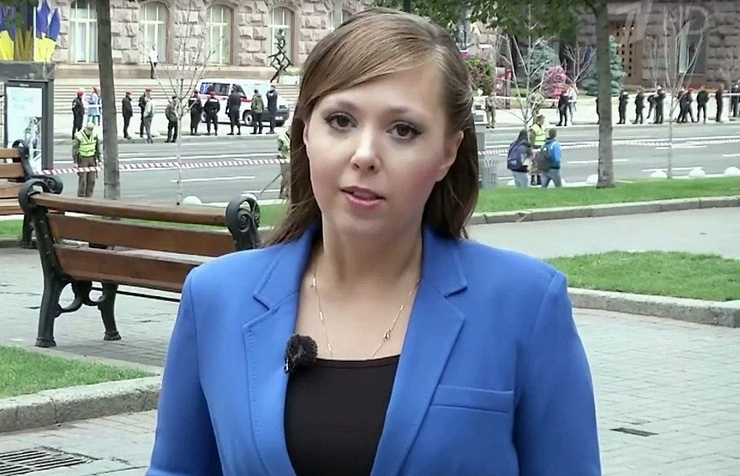 Channel 1, which is Russia’s state-run nationwide television channel, reported earlier in the day that its journalist Anna Kurbatova was abducted in Kiev on Wednesday. It is known that Anna Kurbatova, 29, has repeatedly received threats over her coverage of events in Ukraine. On August 26 she was blacklisted on the Myrotvorets (Peacemaker) website outlawed in Russia. Anna was accused of biased coverage of the military parade timed for Ukraine’s Independence Day and of anti-Ukrainian propaganda. 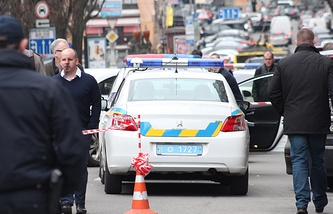 Later on Wednesday, the Security Service of Ukraine said Russia’s Anna Kurbatova will be deported to Russia. «The same will happen to everybody who may take the liberty of defaming Ukraine,» SBU’s Yelena Gitlyanskaya said in Facebook. Kurbatova’s latest seven reports aired on Channel 1 concerned the situation in Ukraine. On the eve of her detention, Anna Kurbatova filmed a report on the persecution of journalists in Ukraine. Several days before that Channel 1 broadcasted her report about the military parade held on Ukraine’s Independence Day. In the report, she called the parade «the march of dependence» adding that the date was «a sad holiday». According to the journalist, Kiev has returned «to the turbulent 90s,» while Ukraine «is absolutely dependent on America and Europe».